First quality White Moleanos limestone from Portugal. This limestone is very pale and consistent in colour throughout the tiles. For this reason it is very versatile, and suitable for use on floors and walls. It is supplied in a range of sizes to suit various applications. Tiles have the highest quality honed finish and the edges are straight sawn. 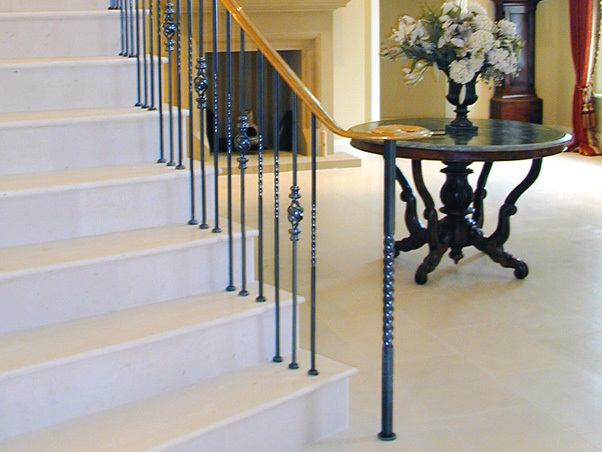 The colour of this limestone make it effective for use in both large open spaces as well as smaller rooms. Although this is a white limestone it retains natural stone features, predominantly tiny shell particles which create the fine grained appearance of the stone. Please feel free to order a free sample or call to discuss white moleanos limestone.